What are top producers focusing on and paying attention to right now? From mindset to technology, to the customer experience, top agents are focusing on it all. When’s the last time you took a day to think about what’s happening and assess your own Strengths, Weaknesses, Opportunities and Threats? Brandon highlights that regardless of technology, the experience your customers have will always be paramount. He also notes that the other agents in your market aren’t your only competition. Amazon and other technology companies are setting new standards for service and convenience. This is becoming the expectation of consumers in every industry. What are you doing to upgrade the experience your clients are having? What idea(s) can you take from Amazon or Netflix to differentiate yourself from other agents who may have their head in the sand? Treasure is clear that her clients have come to know her team for their “white glove service.” While she’s automating much of her business, she knows she will never do anything to interfere with that standard she’s set. That’s a point of differentiation for her in her market. What is your brand known for? What do you want to be known for? What can you do to further breathe life into it? Knowing this and continuing to capitalize on these things will give you a roadmap for long-term success! Doug is crystal clear on this with his teams, saying, “We need to recognize the good we’re doing, but at the same time not be satisfied with all that good.” This is a difficult balance to strike, but the top agents (and top producers in every industry) agree that constant improvement is the only way to succeed. Where may you have a blind spot from your own awesomeness? Who can you get feedback from to help you see these spots? What is your cadence of self-reflection and self-improvement? There are things that keep all of us awake at night, even if your business is going great right now. The truth is that we must all be constantly looking for new ways to improve ourselves and our business. One thing that should not keep you up at night is how your business can win in this shifting market. 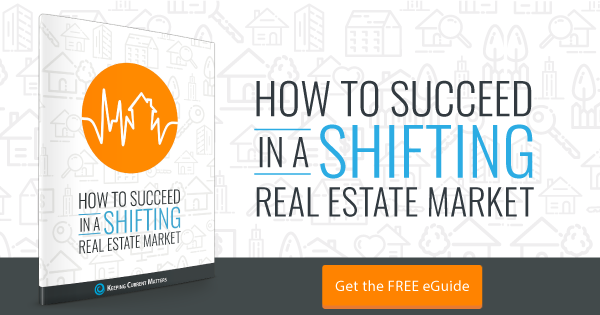 Download our free eGuide on How to Succeed in a Shifting Real Estate Market to get 3 steps you need to take to thrive in this new competitive landscape.